Bruce is very active in the Jacksonville community, including Host Committee involvement and other participation with Florida’s Children First, a program which advocates for the rights of foster children. He has been a Special Olympics sponsor for many years and has much experience with handicapped children, having raised a daughter with Cerebral Palsy. He frequently attends legal aid community events. 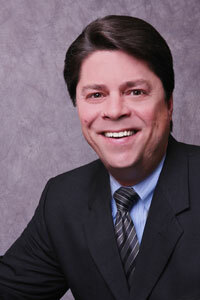 He has handled several large pro bono cases over the years, obtaining successful results for his clients. He is also involved in the Jacksonville Bar Association on both the Judicial Relations and Professional committees. Bruce has been a U.S. Merchant Marine Officer licensed by the Coast Guard since 2003. He is able to assist injured workers within the maritime industry. He is an animal lover and enjoys training his two German Shepherds, Heiki and Genna and sponsors the Humane Society with regular donations. First Place 1986 and Finalist 1985, C. Edwin Moore Moot Court Competition, Midwest Moot Court Team, Civil Rights Moot Court Team, Chairman, Georgia Intrastate Moot Court Competition Bar Faculty, 1989 to 1994, Chairman 1993.